I read a prayer last night that nearly brought me to tears – but for reasons one wouldn’t expect. The prayer Walton cites that I read last night is the most poignant of all. It is an Assyrian prayer that was discovered on a tablet that dates from the mid-seventh century BC. Evidently, the supplicant has suffered some type of misfortune in his life and he offers this prayer as a way of rectifying his misery. But there’s just one problem: he doesn’t know the sin he has committed that would warrant such ire and, just as significantly, he he has no idea which god it is that he has offended. And so he composes this “Prayer to Every God,” hoping that it will somehow reach the ears of whichever god he has offended with a prayer that is sincere enough to appease him. When I weep, they do not come to my side. I am troubled; I am overwhelmed; I cannot see. Mankind, everyone that exists – what does he know? What an incredible tragedy! Can you imagine living in an environment in which you think every bad thing that happens to you results from the anger of the gods? Can you imagine following so many gods that you are unsure of which god you have offended, and how exactly you have offended that god since the gods have not revealed their wills nor their laws? My heart weeps with incredible sympathy for this despondent penitent. And yet, it is within this landscape that the God of the Old Testament revealed Himself – a God known for His unique covenant faithfulness and love; a God who liberated His people from the tyranny of divided devotion that characterized polytheism; a God who didn’t leave His followers in the dark about what His expectations were but mercifully revealed them through His Torah. Is it any wonder that Yahweh jealously asked for exclusive commitment from His people? He wanted to emancipate them from the despair that results from trying to keep multiple gods happy. Is it any wonder that when He declared His character to Moses, He focused on His consistency and graciousness? “The Lord, the Lord God, merciful and gracious,” He announced after the golden calf incident, “longsuffering, and abounding in goodness and truth, keeping mercy for thousands, forgiving iniquity and transgression and sin, by no means clearing the guilty” (Exodus 34:6-7). Is it any wonder that David rejoiced in the Torah, boasting, “Oh, how I love Your law! It is my meditation all the day. You, through Your commandments, make me wiser than my enemies; for they are ever with me” (Psalm 119:97-98)? The Torah – God’s revealed instructions and guidelines – brought His people out of the darkness and made known to Israel what it was exactly that their God expected of them. Unlike the polytheistic nations around them, they didn’t have to guess about what their God wanted, and they didn’t have to speculate about what would bring them back into harmony with Him. Encountering such a tragic prayer has helped me realize just how fortunate we are to have been introduced to the worldview of Israel. It helps me realize – perhaps for the first time – just how blessed we are to understand monotheism (it’s also sobering to realize that there are still billions of people in this world who still suffer from the same polytheistic malady that this prayer betrays); how fortunate we are to have a God who has actually revealed Himself and His expectations through His Torah; and how fortunate we are to be pursued and loved by a God who is faithful to His covenant – indeed, a God who has “loved [us] with an everlasting love,” and with His “lovingkindness” has “drawn” us to Himself (Jeremiah 31:3). One of the reasons I love reading the Old Testament in Hebrew is because it forces me to slow down (at least at this point, since I am not yet fluent) and pay closer attention to what the text is saying. When you are more deliberate about every word, you see things you may not otherwise see. In this case, I was reading Genesis 26 this morning and noticed something I had never noticed before. The very brief context is that Isaac, like his dad, takes refuge in the land of the Philistines because of a famine in the land. And, like his dad, he claims that his beautiful wife is his sister. But the truth comes out, and when King Abimelech discovers it, he is obviously distraught. And his words to Isaac are revealing of the ancient Near Eastern worldview (shared by God’s people). “One of the people might soon have lain with your wife,” Abimelech says, “and you would have brought guilt on us” (v. 10). The Hebrew is clear: if someone had slept with Rebekah, he would not only have incurred guilt upon himself, but all the people would have also shared in that guilt. This is because the ancient Near Eastern worldview thought corporately first. The group was the primary point of focus, rather than the individual. The success and failure of the group had greater significance than the success or failure of its individual members. And thus, if one person sinned, everyone sinned (we see this in the story of Achan, of course, in Joshua 7). What Abimelech goes on to say in verse 11 is just as significant. He thus tells his people that whoever “touches this man or his wife shall surely be put to death.” This is not simply an attempt to punish an individual for wrongdoing, however; it would have been an act of expiation on behalf of the corporate body. To not punish the individual would have produced a continued guilt on the entire group; so one had to die for the sake of all – a thought we see still in place in the days of Jesus, when Caiaphas encouraged the Jews that “it was expedient that one man should die for the people” (John 18:14). Christ’s death, it was thought, served to expunge the guilt of all of Israel. There are many implications of this corporate concept – an idea we, who are individualistic, have a hard time wrapping our minds around. Those implications range from how we understand our corporate responsibility toward one another, to how we understand what happened at the cross, to how we experience community together, to how we understand so-called “genocide” or mass destruction in the Old Testament, to how we relate to church discipline, to how we relate to church history. But those implications will have to be explored another day. But I will point out what Joel Kaminsky has written in his work, Corporate Responsibility in the Hebrew Bible. It’s food for thought. Israel’s fundamental insight into the fact that we are all our ‘brother’s keeper’ could provide a corrective to many of our current philosophical and political tendencies that inform us only of our rights as individuals, but rarely of our responsibilities as members of larger communities” (13-14). 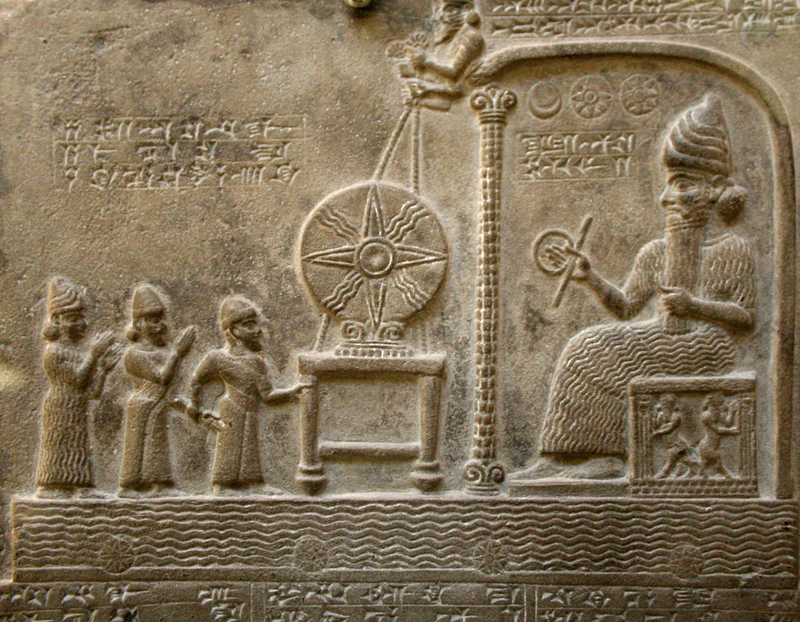 There are many people who have claimed that the creation account recorded in the book of Genesis, as well as other books in the Hebrew Bible, is dependent upon other creation accounts within the ancient Near East. The biblical creation account, it is proposed, merely evolved from these other myths and bears no special character. There are many examples one could cite to show the absurdity of this claim (from the presence of many gods in the ancient Near Eastern myths, to the unpredictability of the gods, and so forth), but none stands out more so than the place and purpose of man within creation. It is startling. 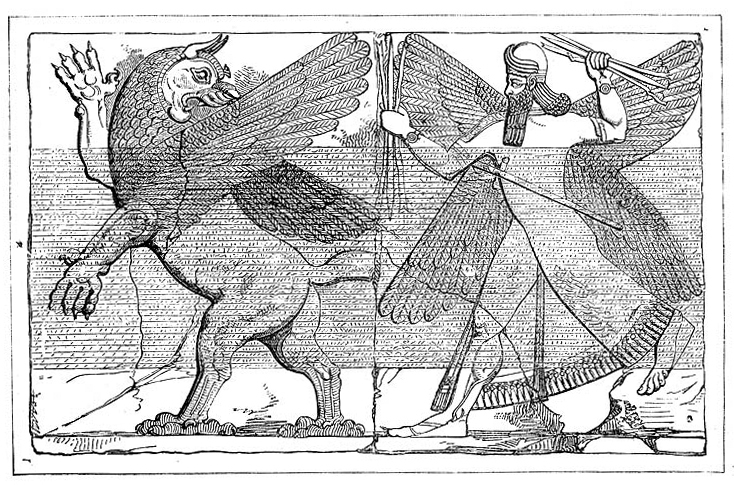 Over and over again, at least in the Babylonian accounts, not only is the creation of man essentially an “afterthought,” in the words of John T. Oswalt (The Bible Among the Myths, p. 59), but they are created for one purpose: to serve the gods. Yes, I will create lullu: Man! (Upon him) shall the services of the gods be imposed that they may be at rest. For all times (translated by Alexander Heidel in The Babylonian Genesis, p. 69). This is repeated over and over again in every Babylonian creation account. It leaps off the page. This stands in stark contrast to the biblical creation account, where man is created as God’s crowning act during the creation week, and then, amazingly, startlingly, during his first day of life, he is gifted with rest from God. The rest of the Hebrew Bible and New Testament then bear witness to the fact that man was not created in order to serve God, but that he might relate to and enjoy fellowship with the Divine. Yet this is actually the fundamental difference between the religion and creation of the Bible, and the religion and creation of all other worldviews. According to every other worldview, man works on behalf of the gods; according to the Bible, God works on behalf of man. This is because the God of the Bible created us for relationship (which is precisely why He gives us rest). And thus He works on our behalf, seeking to convince us of His worthiness.